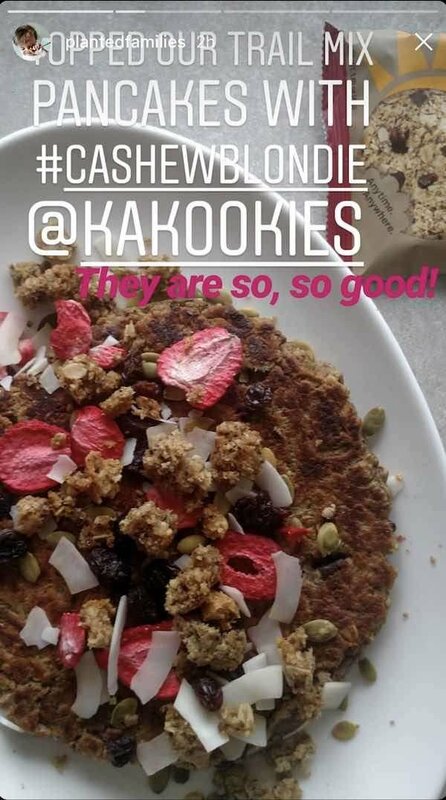 Be sure to share your favorites as well by posting on social media, tagging us @kakookies and using the hashtag #kakookies! Smoothie bowl because #friYAY and tomorrow's vacation ‼️When I know that I want a smoothie bowl the next day I usually put some fruit to freeze over night, so this has 1 frozen banana and a handful of frozen blueberries. I also added a packet of @leapsmoothies + 5 ounces of water + scoop of @furtherfood collagen + ice. 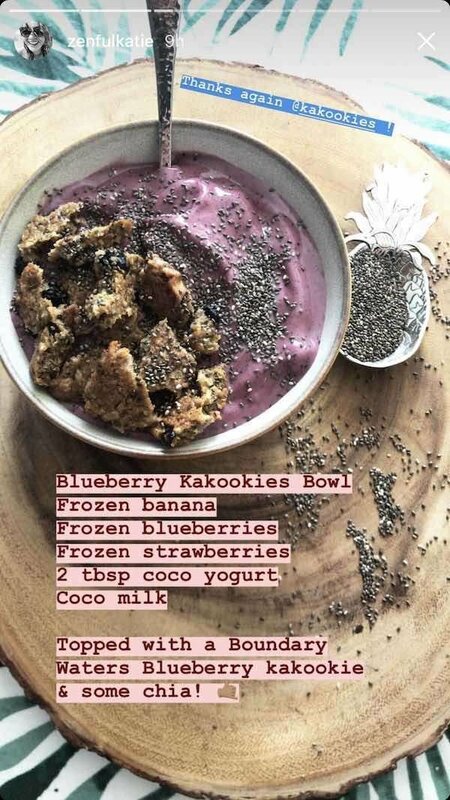 Instead of topping it with granola, I added a blueberry breakfast cookie from @kakookies 😋 along with strawberries, unsweetened coconut, and walnuts 👌🏼 ••••••••••••••••••••••••••••• John 14:6 "Jesus said to him, “I am the way, the truth, and the life. No one comes to the Father except through Me." We're berry in love with these raspberry parfaits! 😍 Simply mix yogurt, Kakookie chunks, and frozen raspberries! Celebrating the 4th of July Kakookies style! 🎉🇺🇸🍪 Happy 4th everyone! Use those holiday flavors and ingredients for a yummy breakfast or dessert bowl! Pecans, strawberries, Kakookie crumbles (our fav is Pecan Apricot). Garnish with a sprinkle of cinnamon! What are you serving at your Halloween party? Here’s what the Kakookie Kitchen is cooking up: Spooktacular Kakookie Martinis! To make: 1. Layer orange yogurt 2. Sprinkle crumbled Kakookies (we recommend Pecan Apricot or Dark Chocolate Cranberry) 3. Top with more orange yogurt 4. Sprinkle cinnamon on top for garnish.